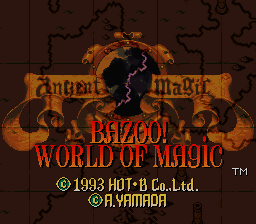 Just downloaded this patch yesterday actually and have been playing Ancient Magic all night now (thank goodness for Holiday break). It’s not a bad game at all. 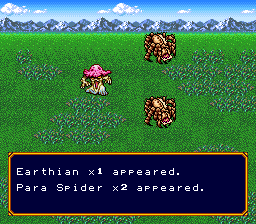 Overhead gameplay is standard JRPG fair. You have towns to wander in and dungeons as well. There isn’t a true overhead map. Instead you have areas that you can wander that will have a few places to explore. You can’t really explore the world map as it will automatically move you from area to area. Battle gameplay is similar to games like Inindo or Robotrek. The main difference is the size of the battlefield. It’s about two screens large. 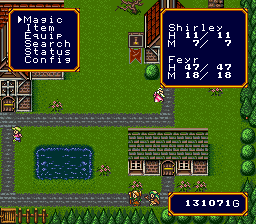 Also, unlike a lot of JRPG’s, this game relies heavily on magic to win your battles. Doesn’t mean you won’t be using sword and ax to win fights but usually you won’t have to. The translation (from what I can tell) seems to be pretty solid. 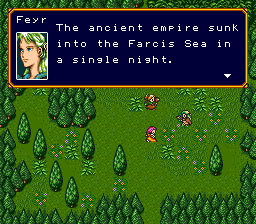 Aeon Genesis seems to have another good translation. One can only look forward to more translations from them. Ancient Magic doesn’t seem to break any major boundaries but it doesn’t mean the game isn’t a lot of fun. 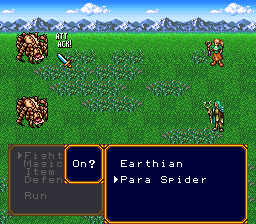 For fans of the early days of the SNES/Super Famicon RPG’s, this one deserves a play through.